« Tax dollars for U.S. Olympians? 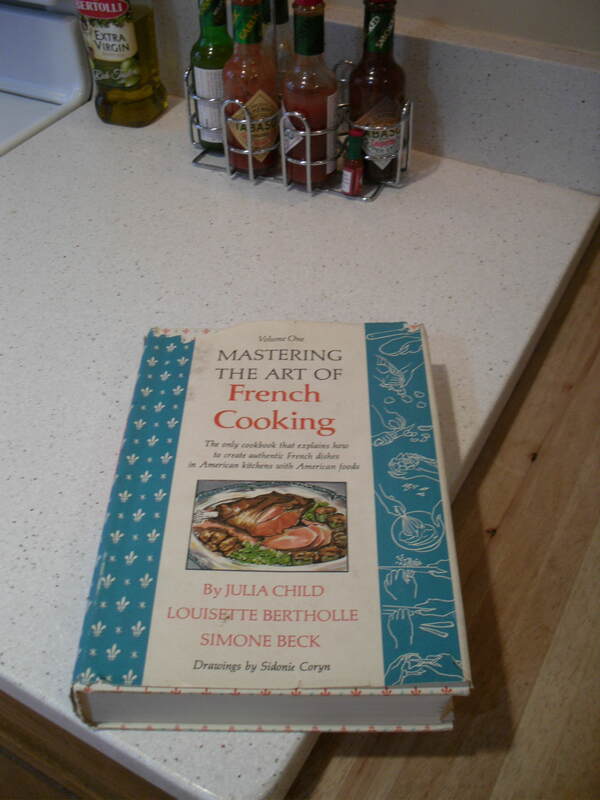 I confess, I never really knew Julia Child (ha). I was merely one of her millions of fans, enchanted with her ability to translate complicated French cuisine into approachable cooking. So I join the throngs wishing her a Happy 100th Birthday on Weds (Aug. 15). The tributes are amazing, from new biographies to odes to Julia on every foodie website from here to her beloved Paris. When the movie “Julie and Julia” came out in 2008, we planned an all-Julia celebration. We went to the movie with our friends Chris and Jeff, and then we came home to an all-Julia supper on the patio. And for you gardeners with a surplus of potatoes and leeks, do try her recipe for vichyssoise – it’s velvety and cool and the perfect antidote to a hot summer night. I have neither vegetable in my garden but in honor of Julia I will buy the ingredients at the farmers market to whip up a batch. Check out Gourmet’s ongoing celebration of Julia at 100. Addendum: The Smithsonian exhibit of Julia’s kitchen has been closed while the National Museum of American History is renovated. But in honor of her birthday, the museum has brought it back — from her birthday, next Wednesday, through Labor Day. Go!